on their Most Critical Financial Goals. Clarify and expand personal, financial and business goals while identifying potential opportunities and challenges. Turn “analysis paralysis” into a simple roadmap to achieve goals. Enjoy the results of your dedication to long-term goals by building, realizing, and implementing your intended exit, sale or transition strategy. Successfully pass on financial assets, core family values, belief systems and memories to the next generation, philanthropies and the world. IS YOUR BUSINESS READY FOR YOUR EXIT? Brix Partners understands the concerns and challenges business owners face. Your business exit strategy isn’t just a financial journey—it’s an emotional one. Our family can guide and walk with yours to your desired goals. 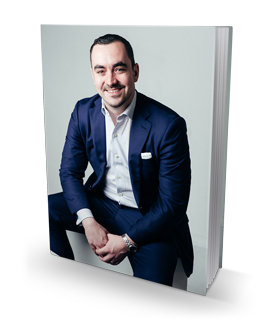 In Garrett Hurley’s soon to be published book for business owners and entrepreneurs, he oﬀers insight for the eventual sale or transition of business interests through a holistic planning process. A well rounded strategy requires a well rounded team. We are licensed and registered to offer products and services in multiple states. Licenses and registrations will vary by representative. Please contact this office for further information. *We will never share your information with a third party. Brix Wealth Management and KAP Planning agreed to merge in late 2018, it was announced. The merger is now complete and the two organizations will be known as Brix Partners.